Here is without any further ado our latest YouTube video! 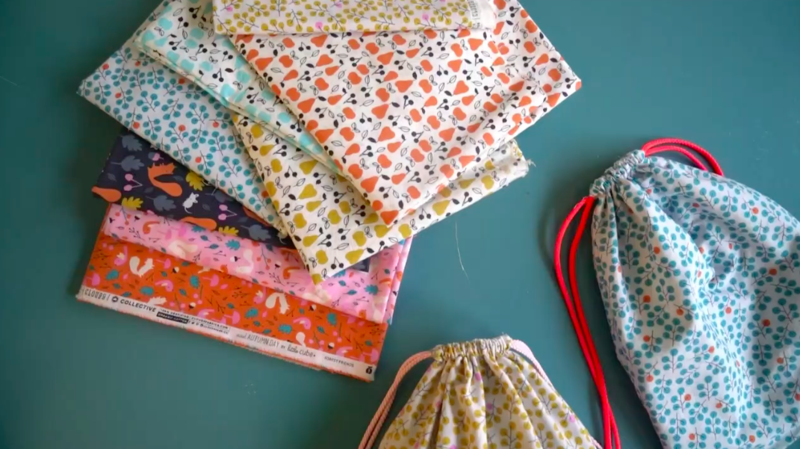 Esther had been sent some beautiful fabrics by Little Cube so we got together to make some sweet little gym bags for our kids. We really had a lot of fun making them and wanted to share this tutorial with you. We experimented and tried lots of different techniques and finally came up with this nifty way of making cute bags. All you will need is 2 pieces of fabric, each 75 cm x 32 cm and 2 pieces of cord each 1,5 m long. We chose contrasting fabric so that we had a cute inside as well as a cute exterior of the bag, but you can really mix and match the fabrics as you want. Love this idea! 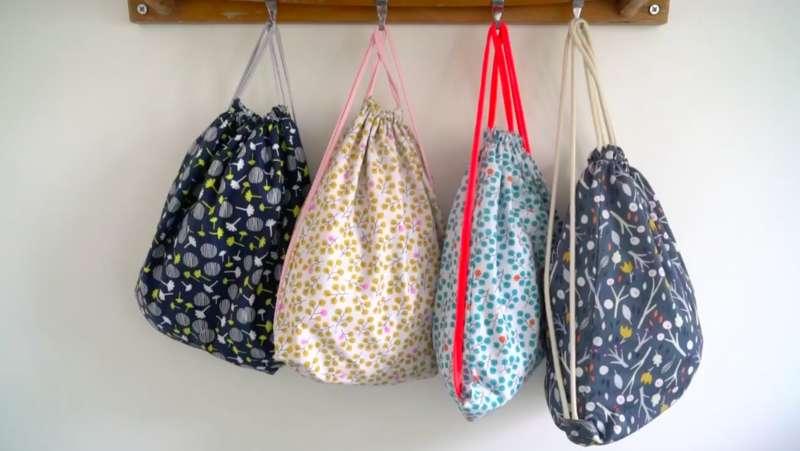 We use these types of bags all the time… it would be great to make our own! Thanks!